You'll never be short of Things To Do in Wellington. Being the capital, it stands to reason that this is where you'll be spoilt for choice for museums, art galleries, shops galore and numerous parks and attractions. Let Wellington surprise you. The comprehensive Te Papa Museum is usually top of the list of Wellington attractions to visit, along with a trip to the Botanical Gardens, the iconic cable car which provides stunning views of the iconic harbour, Parliament Buildings, Oriental Bay and the waterfront area. Theatre buffs will love the Circa or Bats, and the more colourful culture vultures should head for eclectic Cuba Street. Located in Wellington's Botanic Gardens, the Carter Observatory takes visitors on a trip to the stars. 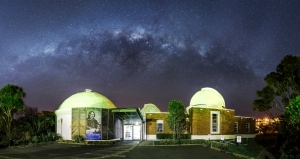 The observatory is the longest serving observatory in New Zealand..